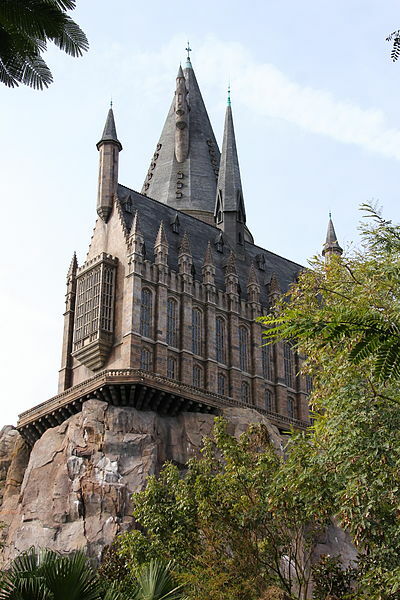 Harry Potter and the Forbidden Journey at Universal Studios Japan is clearly one of most popular rides and it is getting even more popular after the ride has been turned into a 3D attraction. The Wizarding World of Harry Potter opened at Universal Studios Japan not even one year ago and it is already seeing changes. The ride that opened last summer has drawn in record crowds to the park since then and with 11 million visitors a year, it got Universal’s most popular by attendance. The theme park in Osaka unveiled its upgraded Harry Potter ride with three-dimensional effects at a special ceremony only two months ago, making it the first of the two existing Hogwarts Castle ride in 3D. The other is at Universal Orlando and there is no information if its version will see the 3D conversion as well. Harry Potter film series actors Tom Felton (who played Draco Malfroy), Katie Leung(Cho Chang) together with the park president Glenn Gumpel, Chairman and CEO of Universal Studios Japan, were present for the kickoff to ‘enchant’ the Hogwarts Castle with a special spell that turned the attraction into 3D. The crowd couldn’t help but cheer during the whole ceremony. Glenn Gumpel announced the opening of “Harry Potter and the Forbidden Journey” in 4K3D, which has been evolved into 3D for the first time. Shortly after Leung, Felton and Gumpel cast the ‘Expecto Patronum’ spell towards Horwards, thunderous cheer was heard from the three hundred Harry Potter fans present at the ceremony as eagle, rabbit, weasel and stag Patronuses appeared on the walls of Hogwarts Castle, followed by a special display of fireworks and more cheers from the crowd. Universal Studios Hollywood announced only a month ago, that its version of The Wizarding World of Harry Potter is set to open sometime next spring and the park will be getting the 3D version of the Harry Potter and the Forbidden Journey ride too.